Does the taste of a cool dessert or steaming coffee cause a painful sensation in your mouth? If so, you could be one of the 40 million Americans who suffer from sensitive teeth. In healthy teeth, a layer of enamel covers the crown of your teeth (the part above the gum line). Over time, the enamel can wear away, exposing the dentin to external stimulation. Without the protection of the enamel, the tubes within the dentin allow heat and cold or acidic foods to reach the underlying nerves. 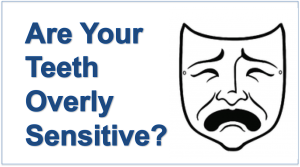 Proper oral hygiene is the key to preventing sensitivity within the teeth. Make an appointment today with your Longmeadow dentist if you have any questions about your daily oral hygiene routine or trouble with tooth sensitivity.